*** Editor's Choice and 89 points - Wine Enthusiast *** Aged in mostly new French Oak, our first Southern Rhone style blend is one a la Châteauneuf-du-Pape. Raspberries, blackberries and toasty vanilla dominate the nose while the palate is embraced by mineral laced blackberries and raspberries with a hint of meaty black pepper and a medium, velvety finish. This wine can be enjoyed in its youth, but will reward those who choose to cellar it. 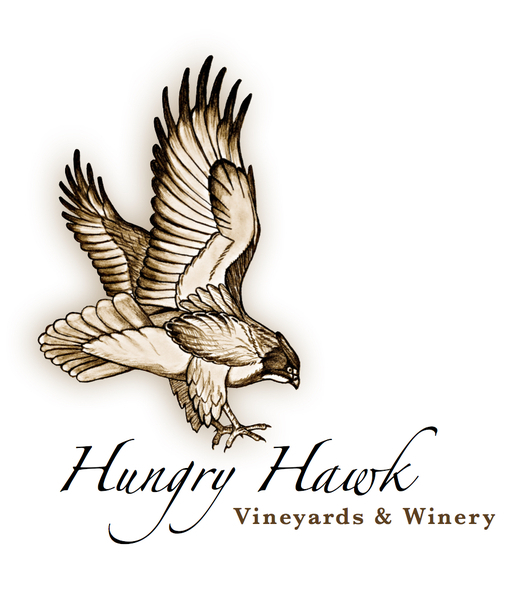 Made entirely from grapes grown on site here at Hungry Hawk Vineyards!